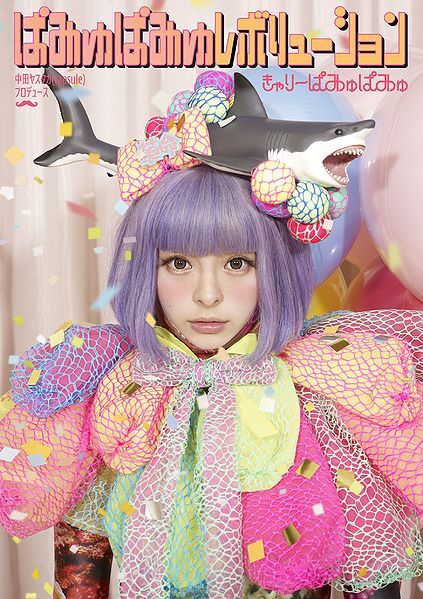 Pamyu Pamyu Revolution (ぱみゅぱみゅレボリューション Pamyu Pamyu Reboryuushon) is the debut studio album by Japanese singer Kyary Pamyu Pamyu. This album debuted at top of the Oricon daily chart, and later certified Gold by the RIAJ. 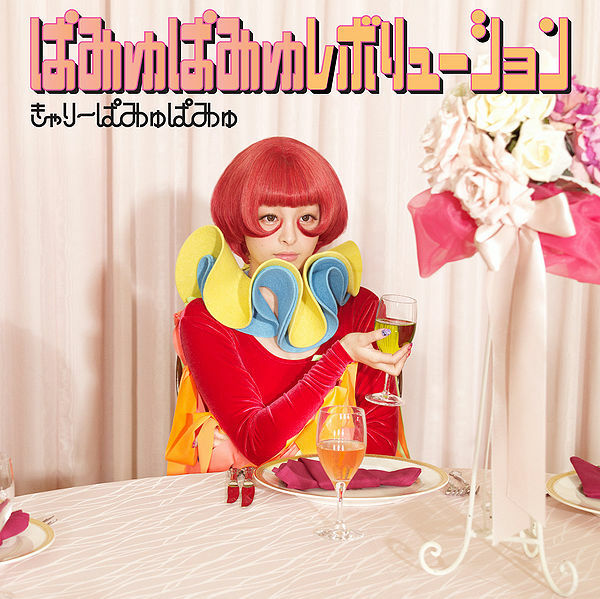 Kyary Pamyu Pamyu only promoted Pamyu Pamyu Revolution in Japan only, but this album also saw success internationally thanks to the viral hit PonPonPon. This album topped the iTunes Electronic Albums charts in the United States, France, and Belgium. The album was also released in Taiwan on March 15, 2013 and debuted at number three of G-Music's J-pop Albums Chart. This album released two version, a regular edition and limited edition, along with digital format in iTunes. The limited edition comes with a bonus DVD with music videos and footage of her first one-man live Moshi Moshi QUATTRO held on February 25th, 2012 at Shibuya CLUB QUATTRO. The limited edition also comes with a 64-page deluxe photobook with 20 pages (page 41-61) of them taken in Los Angeles.